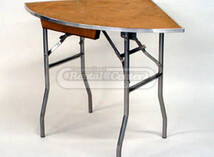 Need Tables for your next party or event? 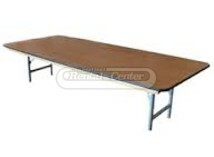 We've got the Tables rentals you've been looking for. Browse our selection below. Have you ever been to a party where you find yourself crammed in between two other guests at the table? 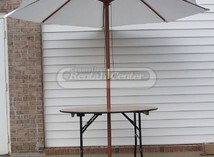 How about if you arrive a little late and find yourself with no table or seat at all? Things like this happen all the time. 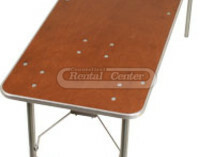 Here at Connecticut Rental Center we offer a wide variety of tables to fit your needs. Unsure of the final guest count? Our experienced wedding, party, and event consultants will help to prepare you for anything and everything and their advice is free of charge! 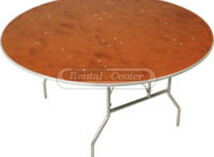 Connecticut Rental Center offers dozens of different tables that come in various sizes, materials, and styles. 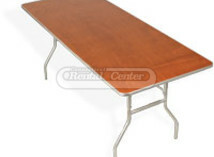 From our quarter, half, and full round tables to our banquet style and square tables; we guarantee you’ll find what you’re looking for. 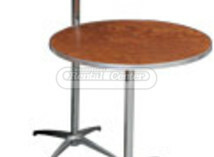 Whether you need to seat 2-4 guests using a few of our 24” to 36” round cocktail tables or our 72” round tables that seats up to 12, we’ll make sure all of your guests are accommodated! 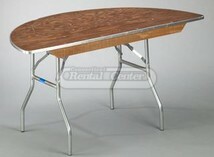 If you’re looking to add something unique to your upcoming event, we offer a great selection of specialty tables as well. Add our 48” umbrella tables, our new 48” glass-top wine barrel tables, or our locally handcrafted farm tables to your event and you’re sure to impress your guests! 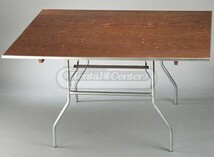 We even offer youth sized tables fit for the kiddos. 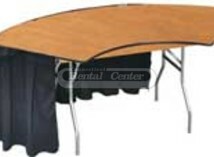 You can request more information directly through our site, add items to your wishlist, or simply give us a call at (860) 347-4688 with any questions you might have! 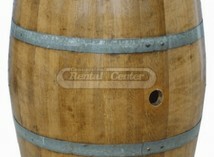 CT Rental Center is here to help!